The Capitol Rotunda reopened to the public Tuesday after being closed for more than a month to remove renovation scaffolding, the Architect of the Capitol has announced. The reopening signaled the completion of the Rotunda’s restoration, which began in July 2015, to repair damage caused by water leaking through the Capitol Dome. Water caused more than 1,000 cracks, “damaging paint, cast iron, stone and decorative elements in the Rotunda,” according to the AOC. Renovations included repairing iron work, upgrading electrical and mechanical systems, installing new lighting, removing hazardous materials, such as lead paint, and repainting with historically accurate colors. While the Rotunda was open throughout phases of the restoration, it closed on July 23 for the safe removal of scaffolding, which has surrounded the Capitol Dome since November 2014. Work will continue in the space between the inner and outer dome, Ayers said. The AOC plans to complete the entire project and remove all scaffolding before the Presidential Inauguration in January 2017. The Capitol will offer tours of the Rotunda throughout the day. 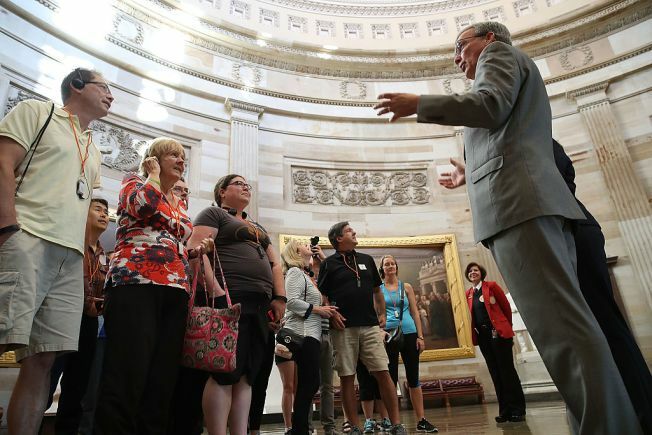 More than 2 million people visit the Capitol each year, the Architect of the Capitol said.